Our next General Meeting will be held on Saturday, 13 April 2019, at 2 pm at the Sydney Mechanics Institute, Level 1, 280 Pitt Street, Sydney. Our featured speaker will be our own long-serving executive committee member Dorothea, who will take us on a visit to Richard III’s mum, Cecily, at her long-time residence of Berkhamsted in Hertfordshire. She will tell us about the town and the castle, starting from its pre-conquest origins to the present day. The castle was very significant in the development of the town. Along the way, you will meet some of its colourful residents. Please join us for this most interesting sounding program! 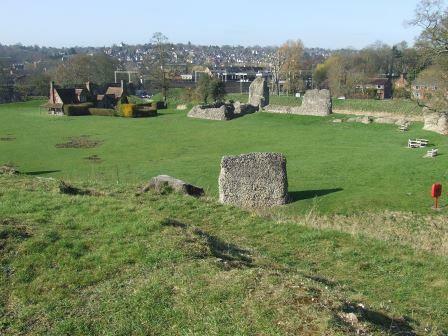 You might also like to watch a YouTube video with an Animated Tour of Berkhamsted Castle here. This entry was posted on Monday, April 1st, 2019 at 8:06	and is filed under Branch News, Meetings, News. You can follow any responses to this entry through the RSS 2.0 feed. You can leave a response, or trackback from your own site.